This fantastic recipe includes puff pastry, seasoning and much more. It is restaurant quality and worth the time. I have gotten many compliments on this recipe and they were all positive, why not give it a try. Im sure you and your guests will enjoy it. 1.) In a mixing bowl combine grounded pork, salt, pepper, garlic salt and lemon pepper. In a separate bowl cut your french bread into various pieces and add milk. Let the bread and milk sit for 10 min and then mix together well. Note: You can use any meat you would like to and it will still taste fantastic. 2.) Add chopped onions and your bread mixture, combine the ingredients into one mixture. Cut the puff pastry into thin tiny strips. 3.) 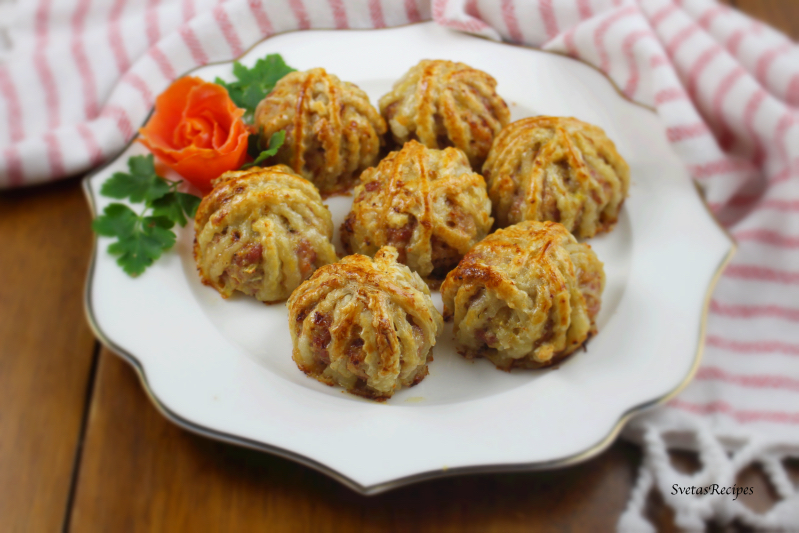 Pick up a spoon full of the grounded pork mixture and form them into spheres, once done wrap the meatballs with a few strips of puff pastry dough. 4.) 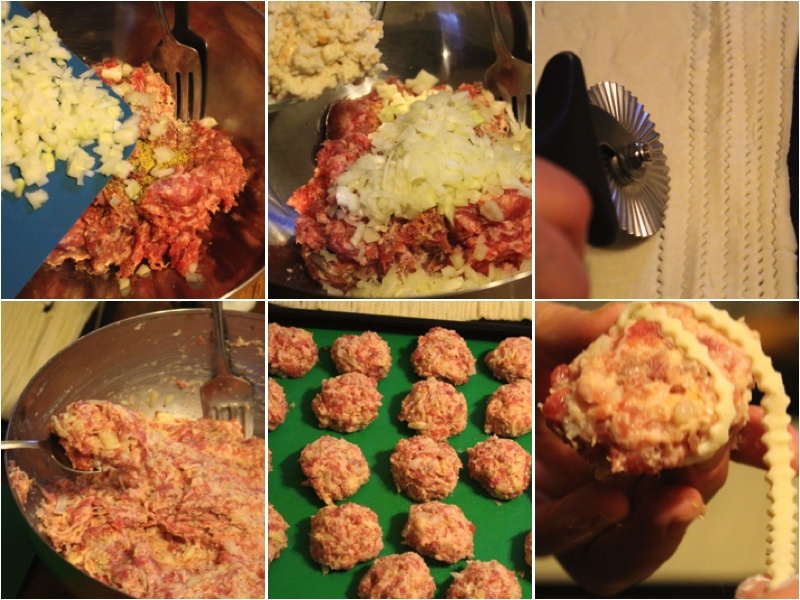 Place all the meat balls into a softly flowered baking pan. 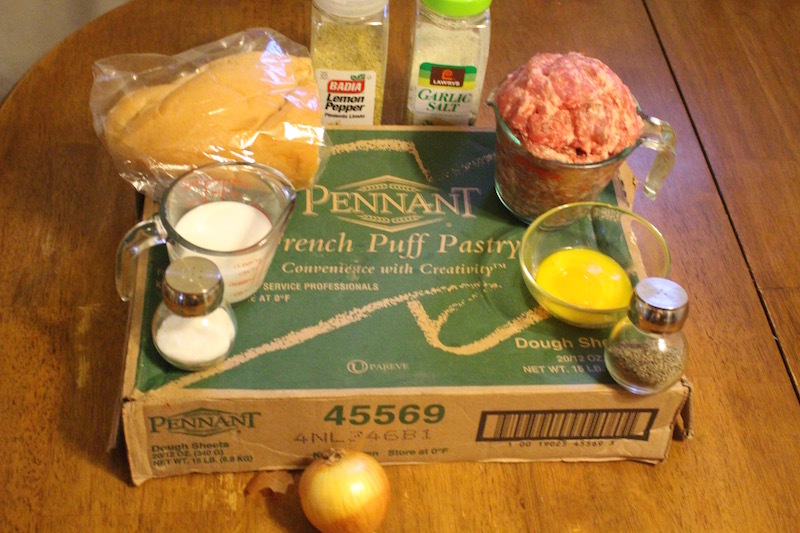 Mix yolks into one mixture and coat every meatball. Bake at 400F for 27min . 5.) Place on a serving dish and enjoy this dazzling recipe. In a mixing bowl combine grounded pork, salt, pepper, garlic salt and lemon pepper. In a separate bowl cut your french bread into various pieces and add milk. Let the bread and milk sit for 10 min and then mix together well. Add chopped onions and your bread mixture, combine the ingredients into one mixture. Cut the puff pastry into thin tiny strips. 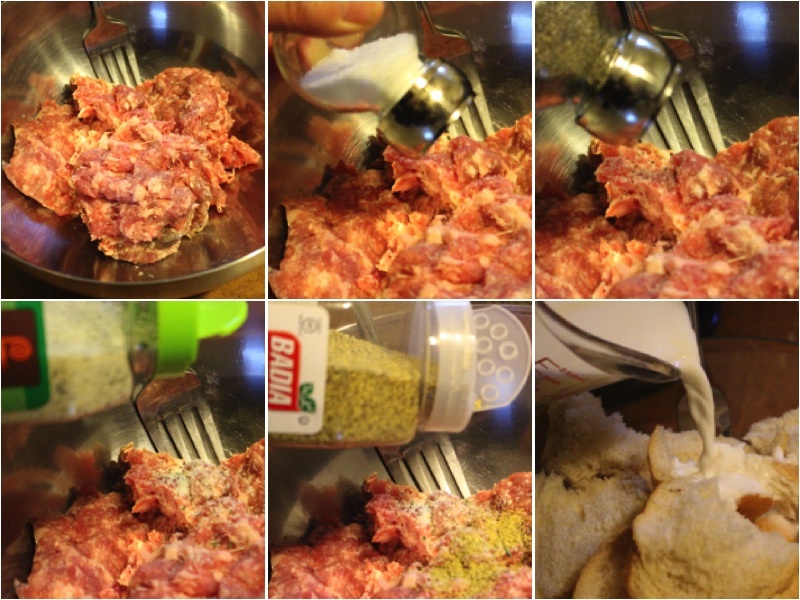 Pick up a spoon full of the grounded pork mixture and form them into spheres, once done wrap the meatballs with a few strips of puff pastry dough. 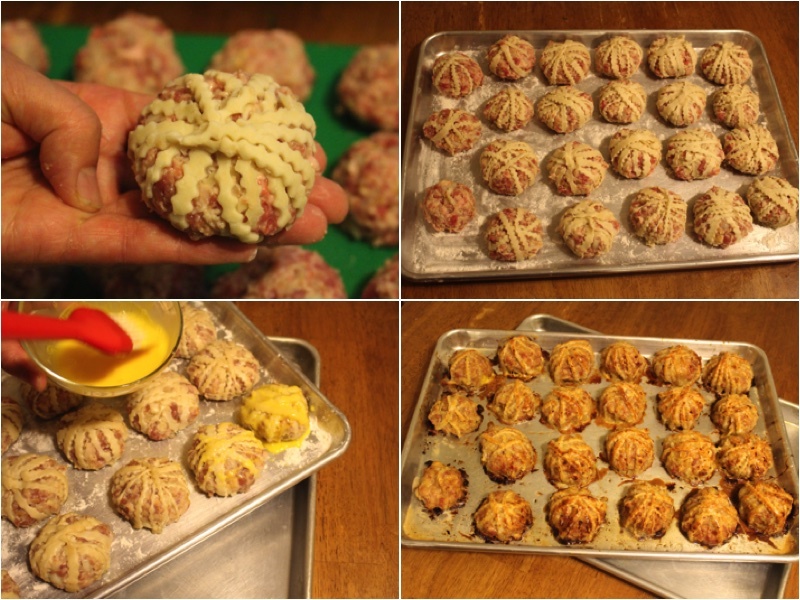 Place all the meat balls into a softly flowered baking pan. Mix yolks into one mixture and coat every meatball. Bake at 400F for 27min . Place on a serving dish and enjoy this dazzling recipe.